For the first Fashion Friday of 2018, we’re bringing you a deal you won’t be able to wait to dress up for! Your faves like Remi, Preston, and Brittani, are back at incredible prices (starting under $20). Cents of Stye also includedtheir new windowpane dress, Briley, and darling bell sleeve dress Becky. But that’s not all you have to get excited about! They are adding 2 new gorgeous styles that you’ll love as much (if not more) as the others. 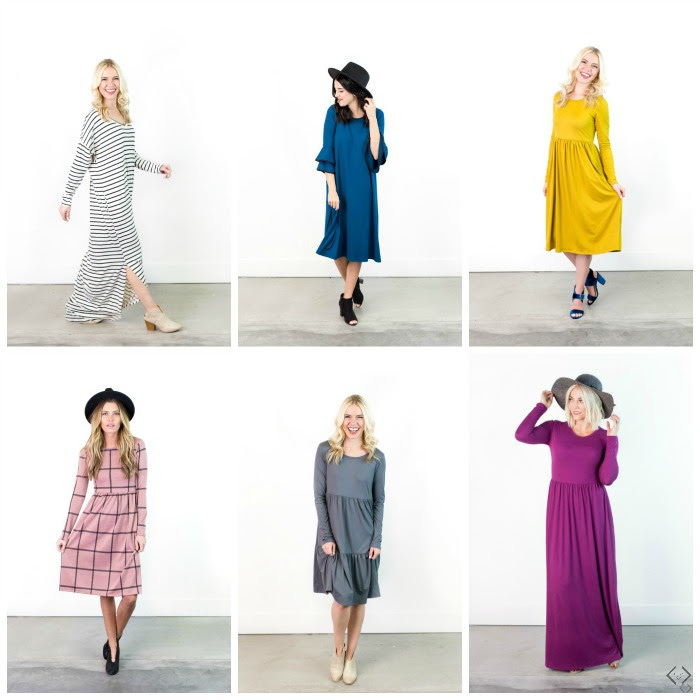 Each of these styles makes dressing up a breeze and they are the perfect winter dresses because of how comfy and cute they are. Layer them with cardigans and pair them with boots, and you’ve got the perfect outfit! The code is FRIDAYDRESS and it will take 40% off the lowest marked price with FREE SHIPPING. Prices start under $20! The code is valid 1/5 through 1/7. *Each of these dresses can easily be styled for a simple, everyday look. Pair each with a motorcycle jacket or cardigan, a scarf, and your favorite boots. *Need to get fancy? Pair your dress with your favorite heels, fancy jewelry, and an updo for a glam look. *Pair one of your dresses with a boyfriend blazer and simple accessories for the perfect office ensemble. *Don’t feel like accessorizing? Then these dresses are perfect for you! They are absolutely gorgeous on their own! Just pair with your favorite pair of shoes (and maybe something to keep warm)!